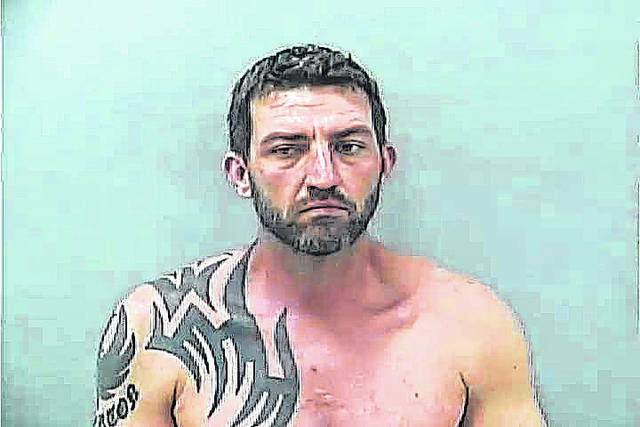 A Delaware man charged with aggravated murder was found competent to stand trial during a hearing last week. Bryan S. Pemberton, 34, was indicted on Feb. 1, 2018 and charged with aggravated murder, a first-degree felony charge after prosecutors say he shot and killed Ali Al Azirjawi, 28, of Hilliard, on the evening of Jan. 25, 2018. Pemberton’s attorney, Brandon Shroy, entered a not guilty by reason of insanity plea at Pemberton’s arraignment on Feb. 12, 2018 and Delaware County Common Pleas Judge Everett H. Krueger ordered that he undergo evaluations to determine his competency and an evaluation to determine the validity of the insanity plea. In June of 2018, it was determined that Pemberton was not competent and he was ordered to undergo mental health treatment at Twin Valley Behavioral Healthcare Hospital in Columbus. A competency hearing was held on March 18 and at the hearing Judge James P. Schuck reviewed documents from the defense’s expert doctor and from Twin Valley, which both stated that Pemberton is competent to stand trial. Schuck then ordered Netcare Forensic Center to complete an evaluation of Pemberton’s mental condition at the time of the offense, January, 2018. Additionally, Schuck said Twin Valley’s letter expressed that Pemberton no longer needed to stay at their facility because his medications and treatment could be administered effectively at the Delaware County Jail. Schuck then ordered that Pemberton be returned to the jail. Last year, Krueger denied bond for Pemberton and Schuck ordered that Pemberton remain at the jail until a further order from the court. Schuck also ordered that Netcare and Shroy’s expert doctor complete reports addressing Pemberton’s mental condition at the time of the offense and deliver then to the court no later than April 22. A status conference is scheduled in the case for April 29 at 1:30 p.m.
During Pemberton’s arraignment in municipal court, then-Assistant Delaware County Prosecutor Mark Sleeper detailed the events of the case for Delaware Municipal Judge Marianne Hemmeter, stating that on the evening of Jan. 25, Azirjawi went with his fiance to pick up a child that his fiance and Pemberton shared after the child did not show up at a school function. Sleeper said after they arrived at Pemberton’s home on Stratford Road, they called him to let him know they had arrived, but no one answered. At Pemberton’s arraignment, Delaware Police Detective Daniel Madden said Azirjawi and his fiance then noticed Pemberton was standing outside the driver’s door with a shotgun. Prosecutors said Pemberton shot at Azirjawi twice as he was exiting vehicle, striking him in the head and chest with one of the shots. The fiance and Azirjawi’s 1-year-old child were also in the vehicle, but they were not harmed in the shooting, Sleeper said. At the arraignment last year, Krueger told Pemberton that if he is convicted, he could face up to life in prison without parole. Krueger said the aggravated murder charge also carries a firearm specification, which would add additional prison time if Pemberton is convicted.